Backyard Expressions is a family-owned and operated patio and fireside company helping people design their ultimate outdoor space. Owner Jim Montgomery began working in the patio industry at 16 years old. 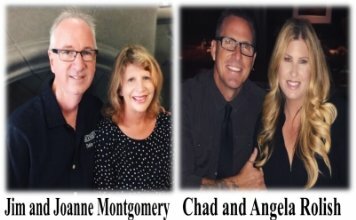 In 2008, after 35 years, Jim and his wife Joanne partnered with their daughter Angela and son-in-law Chad to open Backyard Expressions in Yorba Linda. They expanded into Huntington Beach in 2014 and in 2018 opened a third store in Laguna Hills. Now they offer 3 prime locations in Orange County to serve their customers. We sell luxury patio furniture, BBQ’s, fire pits and fireside products. Our team provides one-on-one personalized service to help each customer create their dream indoor or outdoor space.We believe everyone should be able to express themselves through their backyard! It is our passion and privilege to make that happen. For any additional questions about products and services, see the contact information below.